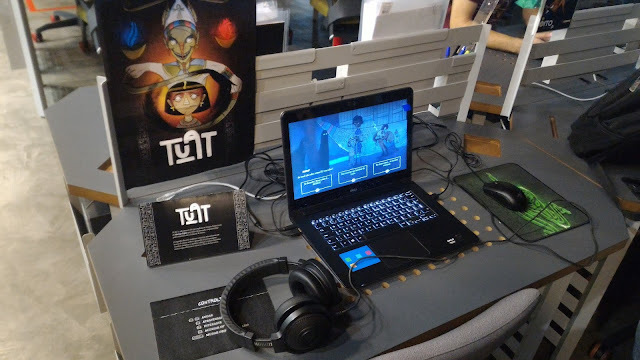 When I joined the TUAT team many elements of the game were already done. There was already the outline of a basic inventory system, movement and a primitive dialogue system, among others. I have worked on some of these systems, polishing a few and correcting small errors. Systems that were working (apparently) I didn't touch and focused on implementing the new systems that were needed. If you're reading this, here's my tip: never do that. This week's post is all about the most bizarre bugs that happened in TUAT, due to my omission to the old code. There is an NPC that you find early in the game (whose identity is a mystery) and accompanies you throughout the scenarios. For a long time he was the "responsible" for the strangest bugs I had ever stumbled upon in my years of game development. It was amazing how everything seemed tied to him, making him pretty much an entity that conspired against the game working well. Once, while correcting the game's initial inventory system (which appeared at the top of the screen), I had to identify the position of an item the character would collect. The item had appeared, but something was strange: its image was superimposed over itself, but horizontally! I went back to the code, searched for a line where a second item, with a changed angle, was created. Nothing. I returned to the game, with the help of the Game Maker debugger, I now intended to count how many items of that type were being created, just to confirm. I performed the same steps as before and ... the "cross" appeared again, but there was only ONE item despite my eyes showing me clearly that there were two. How? Do you already have an idea about what caused the bug? Leave your answer in the comments! At the end of next week's post I'll show you the causes and how they have been fixed! The dialogue system that we use in TUAT allows the branching of answers and options. For this purpose, whenever an NPC is "created" in the game, it loads the text file corresponding to the dialog tree that it needs to follow. Whenever a dialog is terminated, we "recreate" the NPC, thereby loading the new dialog. The NPC from the beginning has an extensive dialog tree that is divided into several text files, something that always worked perfectly. Until you decide to move on to the next scenario, that is. 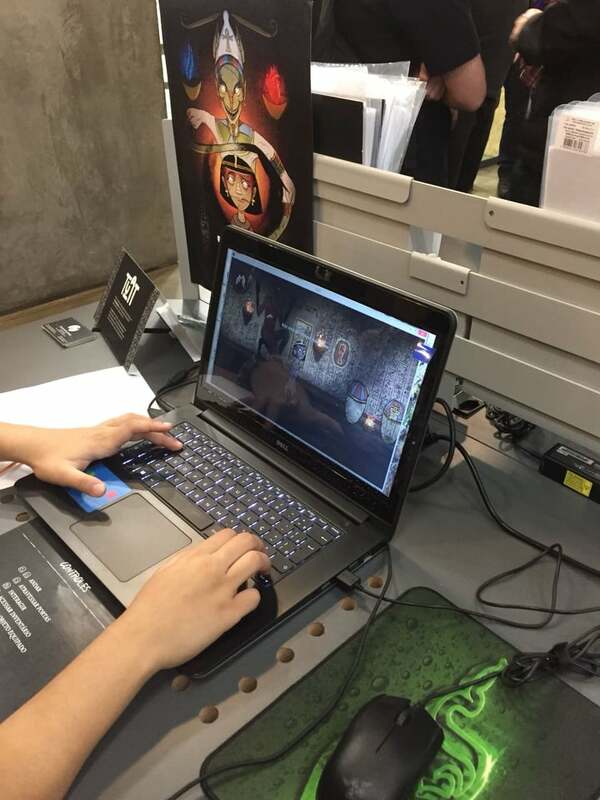 Once the player solves all the Tomb puzzles, he can finally move on to the next scenario. The NPC, which serves as a guide throughout this time, has specific dialogues for all situations, including when the player succeeds in the Tomb. The problem is that at that moment, when talking to the NPC, he simply repeats an earlier phrase - unrelated to the current scenario. If the player persists and talks to him again, then he speaks what he should from the beginning. Why did he repeat the phrase? 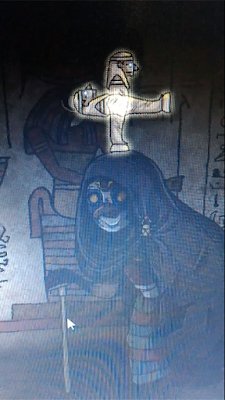 And why only after the player completed the tomb? 3) "I want you away from me"
The mysterious NPC from the beginning of the game attacks again. This time he acted in an even more unusual way. One of the options for ending the dialogue with him was "I want you away from me." I was testing the routes of conversation and I opted for this option. My surprise was when he really walked away (more than expected). "I left Egypt and now I'm a ninja." I soon noticed that this happened every time I closed a dialogue (only with him). Everything worked so well before, why - out of nowhere - would he act like this? At this point I learned that nothing happens "out of nowhere". I listed all the recent changes that had happened in the game and one soon caught my eye: the sprite of this NPC had recently changed. I even had to reposition him in the scenarios. That can only be it, right? But why would he be appearing on the floor and not in his old position? 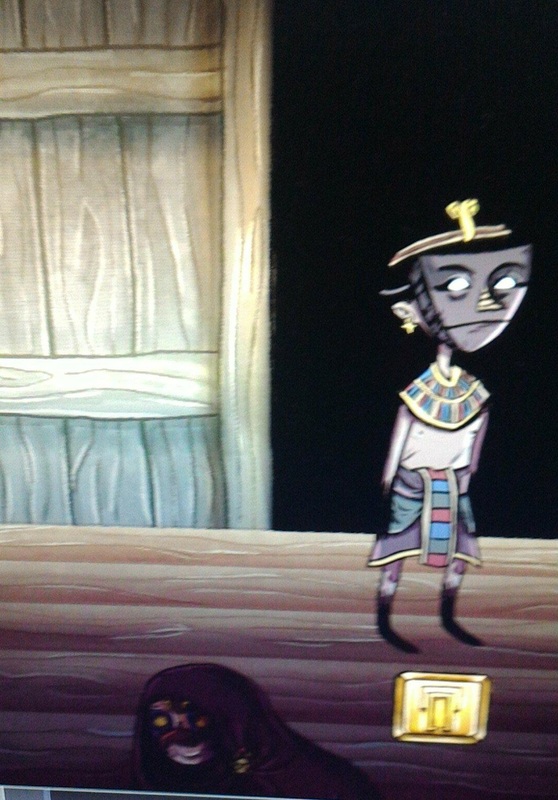 Inside the game we have a secret NPC named "Mehen". 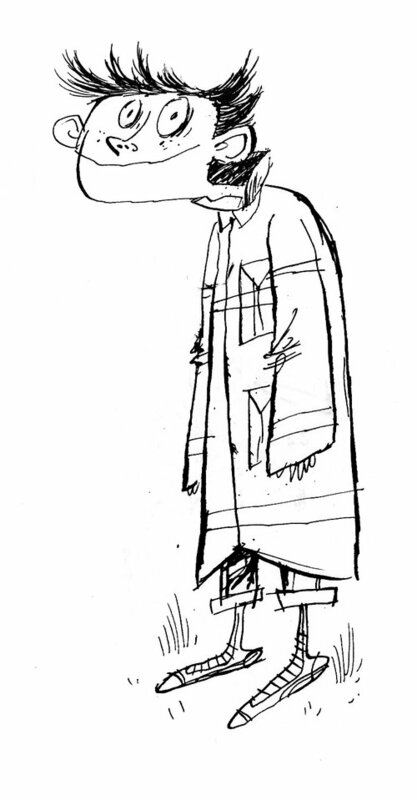 This NPC is able to "open the eyes" of the main character, revealing secrets about what is happening. All this at a price, of course. The interesting point of all this is that the bug attached to this NPC was responsible for opening my eyes, showing a problem that was masked by other NPCs and that was directly attacking the performance of the game. This bug was also linked with the dialog system and consisted basically of creating a second screen - containing all the visual elements of the system - shifted slightly to the side. The interesting thing is that the text of the dialogues did not duplicate. It were just the visual elements that made up the interface. It is worth noting that the dialog system is implemented along the lines of the Object Orientation, that is, based on a pre-assembled model, "children" can be created, which inherit all attributes of the "parent" model. Thus, all NPCs in the game are linked to a "child" of the dialogue system. With Mehen it was no different and yet she was the only NPC that this problem was present. Identifying the error was a bit tricky. It was the model of the dialog system that set up the whole interface and, after checking it a dozen times, everything seemed to be ok. I then went to the lower level: to look at element by element that made up this interface. Bingo! The model created and drew an X element. This X element, in turn, also drawn itself. It may seem confusing, but since two different fonts were drawing the same element, it was to be expected that it would appear duplicated on the screen. Yeah, but why is it shifting to the left? At TUAT we work with views. This means that a scenario may be much larger than the portion that is being displayed on your screen, but the game's camera is limited to only one region (otherwise the entire scenario would have to fit on your screen and that would mean it would be extremely small). Finally, when the X element is created, it does not calculate the position of the current portion of the screen (the model is the one responsible for this). Therefore, it uses the default coordinates based on the resolution of the screen in question and this makes it draw itself to the left. By changing the elements in its base, the bug has been fixed - now only the model controls the dialog system interface. An interesting point is that, analyzing with the debugger, this happened to all NPCs but the elements were all drawn exactly at the same point (one over the other). So there was no such visual hint that things were being duplicated. The only NPC that introduced this behavior was Mehen and the reason for that, so far, is still a mystery to me. Quando eu entrei para o time do TUAT muitos elementos do jogo já estavam prontos. Já havia o esboço de um sistema básico de inventário, movimentação e um diálogo primitivo, entre outros. Eu trabalhei em cima de alguns desses sistemas, polindo alguns ou apenas corrigindo pequenos erros. O que funcionava (aparentemente) eu não toquei e foquei em implementar os novos sistemas que eram necessários. Se você está lendo isso, fica aqui a minha dica: nunca faça isso. O post dessa semana é todo sobre os bugs mais bizarros que aconteceram no TUAT, por conta da minha omissão para com o código antigo. 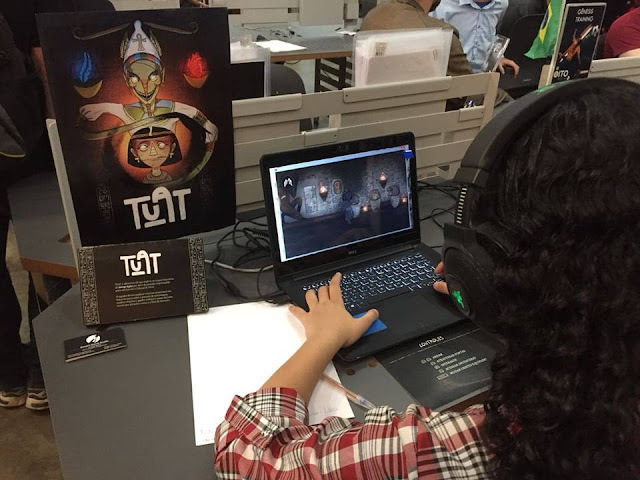 Existe um NPC que você encontra logo no início do jogo (cuja identidade é um mistério) e que te acompanha ao longo dos cenários. Por um bom tempo ele foi o "responsável" pelos bugs mais estranhos que eu já havia trombado nos meus anos de desenvolvimento de jogos. Era impressionante como tudo parecia vinculado a ele, tornando-o praticamente uma entidade que conspirava contra o funcionamento do jogo. Certa vez, enquanto corrigia o sistema de inventário inicial do jogo (que aparecia no topo da tela), precisei identificar a posição de um item que o personagem iria coletar. O item havia aparecido, mas algo estava estranho: sua imagem estava sobreposta sobre ela mesmo, porém na horizontal! Eu voltei para o código, procurei por alguma linha onde um segundo item, com ângulo alterado, era criado. Nada. Voltei para o jogo, com a ajuda do debugger do Game Maker, eu agora pretendia contar quantos itens daquele tipo estavam sendo criados, só para confirmar. Executei os mesmos passos de antes e... a "cruz" apareceu de novo, porém, só havia UM item apesar dos meus olhos me mostrarem claramente que haviam dois. Como? Você já tem uma ideia sobre o que causava o bug? Deixe sua resposta nos comentários! No final do post da semana que vem mostrarei as causas e como foram corrigidos! O sistema de diálogo que usamos no TUAT permite a ramificação de respostas e opções. Para tal efeito, sempre que um NPC é "criado" no jogo, ele carrega o arquivo de texto correspondente à árvore de diálogo que ele precisa seguir. Sempre que um diálogo é encerrado, nós "recriamos" o NPC, carregando assim o novo diálogo. O NPC do início tem uma árvore de diálogos extensa e dividida em vários arquivos de texto, algo que sempre funcionou perfeitamente. Até o momento em que você decidia passar para o próximo cenário. 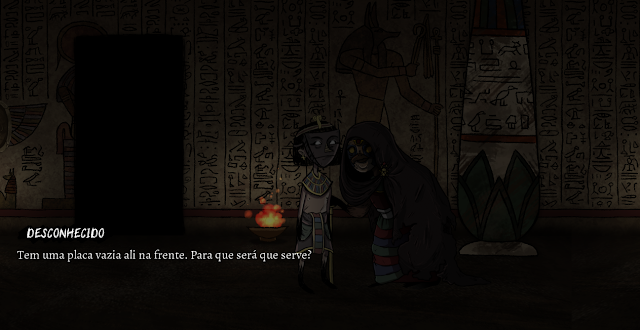 Uma vez que o jogador resolve todos os puzzles da Tumba, ele pode enfim avançar e seguir para o próximo cenário. O NPC, que serve de guia durante todo esse tempo, tem diálogos específicos para todos os momentos, inclusive para quando o jogador tem êxito na Tumba. O problema é que, nesse momento, ao falar com o NPC, ele simplesmente repete uma frase anterior - não relacionada com o cenário atual. Se o jogador insistir e falar com ele novamente, aí sim ele fala o que deveria desde o início. Por que ele repetia a frase? E por que só depois que o jogador completava a tumba? 3) "Quero você longe de mim"
O misterioso NPC do início do jogo ataca novamente. Desta vez ele agiu de uma forma mais inusitada ainda. Uma das opções para encerrar o diálogo com ele era "quero você longe de mim". Estava eu testando as rotas de conversa e optei por essa opção. A minha surpresa foi quando ele realmente se afastou (mais do que o esperado). "Abandonei o Egito e agora virei ninja." Logo notei que isso acontecia toda hora que eu encerrava um diálogo (apenas com ele). Tudo funcionava tão bem antes, por que - do nada - ele agiria assim? Nesse ponto eu aprendi que nada acontece "do nada". Listei todas as mudanças recentes que tinham acontecido no jogo e uma logo me chamou a atenção: o sprite desse NPC havia sido alterado há pouco tempo. Eu tive até que reposicionar ele nos cenários. Só pode ser isso, certo? Mas por que ele estaria aparecendo no chão e não na posição antiga dele? Dentro do jogo temos um NPC secreto chamado "Mehen". Esse NPC é capaz de "abrir os olhos" do personagem principal, revelando segredos sobre o que está acontecendo. Tudo isso à um preço, claro. O ponto interessante disso tudo é que o bug atrelado a esse NPC foi responsável por abrir os meus olhos, mostrando um problema que era mascarado por outros NPCs e que atacava diretamente a performance do jogo. Esse bug também era ligado com o sistema de diálogo e consistia em, basicamente, criar uma segunda tela - contendo todos os elementos visuais do sistema - deslocada um pouco para o lado. O interessante é que o texto dos diálogos não se duplicava. Eram apenas os elementos visuais que compunham a interface. Vale notar que o sistema de diálogo é implementado nos moldes da Orientação à Objetos, ou seja, baseado em um modelo pré-montado, "filhos" podem ser criados, os quais herdam todos os atributos do modelo "pai". Sendo assim, todos os NPCs do jogo são vinculados a um "filho" do sistema de diálogo. Com a Mehen não foi diferente e, ainda assim, ela era o único NPC que esse problema se fazia presente. Identificar o erro foi um pouco complicado. Era o modelo do sistema de diálogo que montava toda a interface e, após checar umas dezenas de vezes, tudo parecia estar ok. Passei então para o nível inferior: olhar elemento por elemento que compunha essa interface. Bingo! O modelo criava e desenhava um elemento X. Esse elemento X, por sua vez, também se desenhava. Pode parecer confuso mas, uma vez que duas fontes diferentes desenhavam o mesmo elemento, era de se esperar que ele aparecesse duplicado na tela. Tá, mas e por que ele está deslocado? Em TUAT nós trabalhamos com "views". Isso significa que um cenário pode ser bem maior que o trecho que está sendo exibido na sua tela, porém a câmera do jogo fica limitada à apenas uma região (caso contrário o cenário inteiro ia ter que caber na sua tela e isso significaria que ele ficaria extremamente pequeno para que isso fosse possível). Enfim, quando o elemento X é criado, ele não calcula a posição do trecho atual (quem faz isso é o modelo). Logo, ele usa as coordenadas padrão baseado na resolução da tela em questão e por isso fica mais à esquerda. Alterando os elementos em sua base, o bug foi corrigido - agora apenas o modelo controla a interface do sistema de diálogo. Um ponto interessante é que, analisando pelo debugger, isso acontecia com todos os NPCs, porém os elementos eram desenhados exatamente no mesmo ponto. Sendo assim não havia essa dica visual de que as coisas estavam sendo duplicadas. O único NPC que apresentou esse comportamento foi a Mehen e o porquê disso, até o momento, ainda é um mistério pra mim. When someone decides to tell a story about other times and societies, what are the limits between the creative liberty and the historical fidelity? 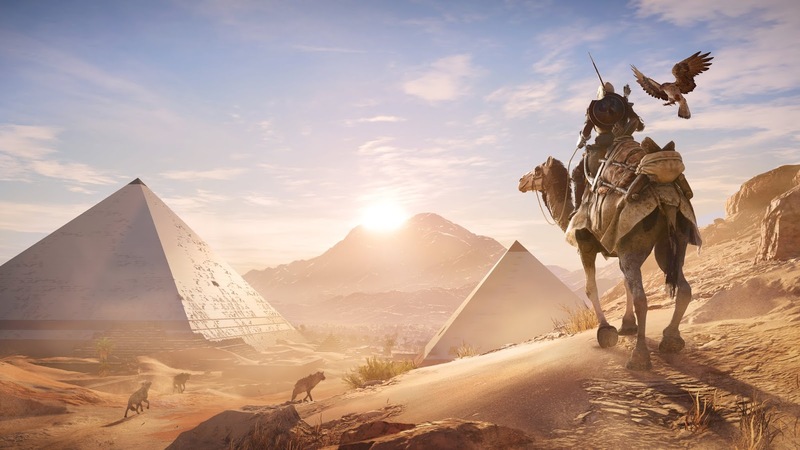 It was thinking about this that I came to Alain Mercieca, lead Writer on the worldwide acclaimed Assassin's Creed Origins (Ubisoft, 2017). 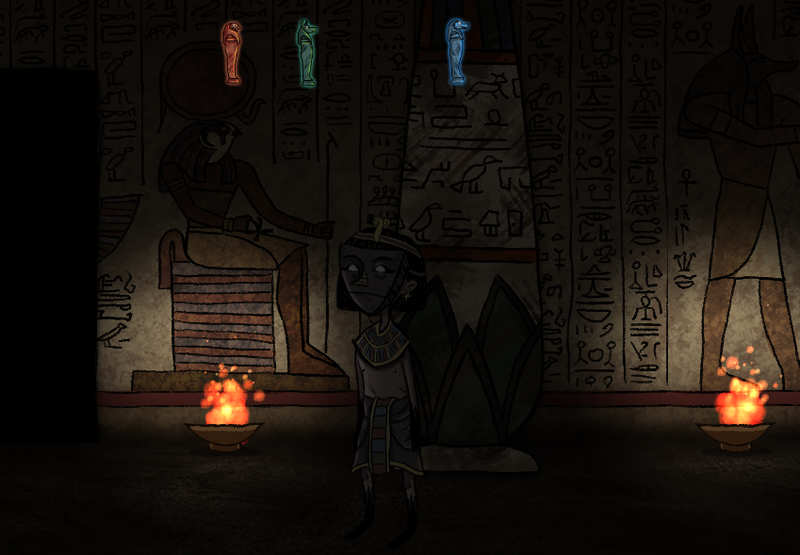 My disquietude was born from my experience writing TUAT, a historical game that takes place on the XVIII dynasty of Ancient Egypt. I have asked Alain two questions about storytelling, one about his career and the last about his favorite games in in terms of narrative. 1) I think one of the most difficult challenges of writing a historical game is to adapt the way of thinking (i.e. the mentality, as appointed by Marc Bloch and Lucien Febvre) of a certain epoch to modern audiences. 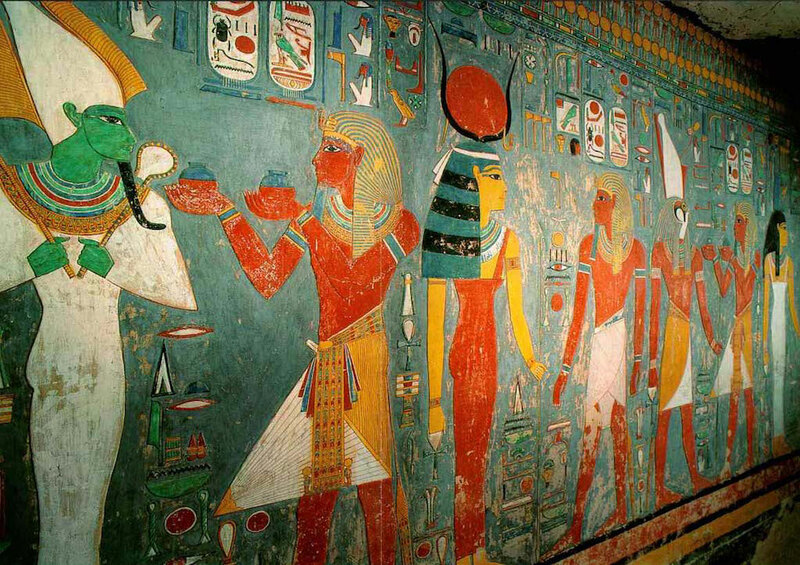 The Egyptians, for example, have a lot of beliefs that could sound odd to us. How this can be done without a huge anacronism? Does every story we tell should be told by means of Aristotle's Poetic or Campbell's monomyth? Or do we have to find something new according to the time and place we want to talk about? I believe strongly that in order to avoid massive anachronisms, one must creatively interpret history, and if this creative interpretation stems from a genuine education and love of the historical time period, any liberties taken are liberties that do not detract from a gaming or otherwise artistic storytelling experience, they in fact add to the experience. Information is only one conduit for creating a picture of history. Artifacts, stories, history, myth and even clichés and stereotypes (yes I do believe they need to be addressed, many are based on fact). Not allowing them to overrun your interpretation of history is what makes us move BEYOND them and create core, immersive experiences that are moving and compelling in a way that is not to the detriment of a people, culture or religion. The imagination is in fact your best friend. Funnily enough, I believe that objective facts are merely a spring board for a creative interpretation that is not weighed down by fact-checking, and tippy-toeing across history while clenching onto statistics or archeological evidence as if they are meant to demonstrate education and literally brag about research instead of being massaged into a story, into a world, yes, massaged so well in fact that they give birth to new facts, new ideas, new stories, that were hidden underneath the facts, and they of course are fallible in that they MAY not be true. The secret and unknown lives of historical figures and people from different time periods is still what compels more than most known facts. 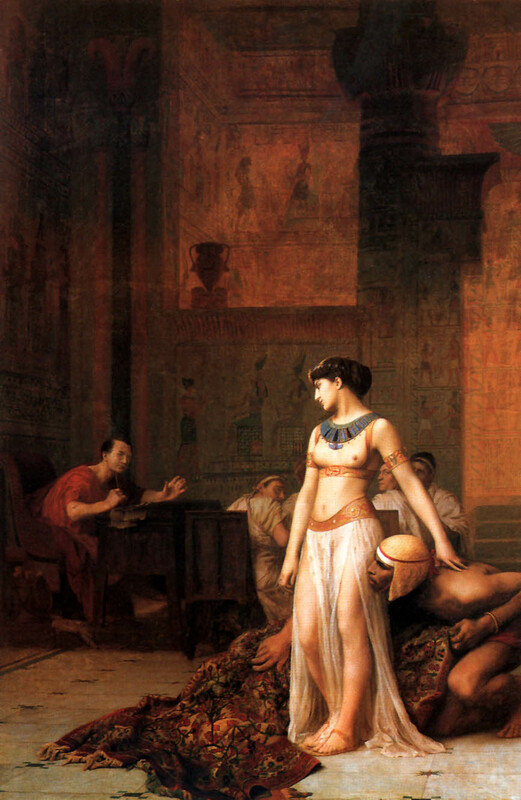 Facts often even feel like they are imagined (take the Cleopatra rug moment), if Cleopatra's rug moment was somewhat documented, imagine the undocumented moments? They are infinite. 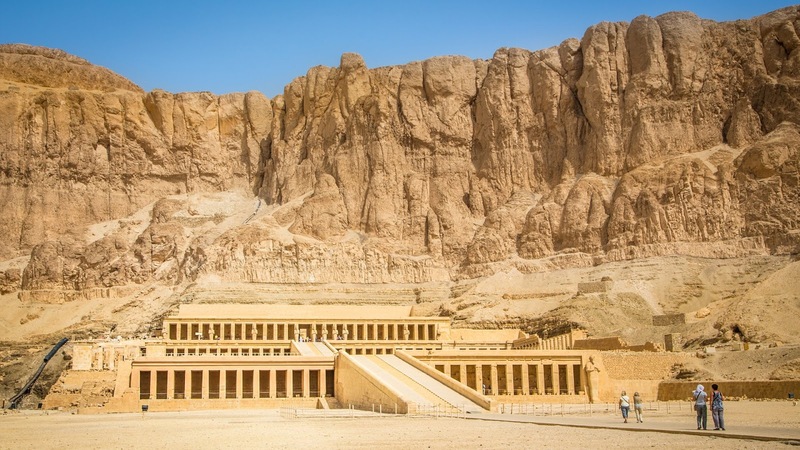 An interesting exercise speaking to this point: imagine they found a new tomb, let's call it FELIPE'S TOMB, discovered in Egypt recently in a remote tomb in the desert. In Felipe's tomb there is a squirrel bone. No one can explain the reason for this. Red Squirrels were not native to Egypt at all. So the bone must have been a pet squirrel that Pharaoh Felipe found on his travels to Europe? We can infer that Felipe had passed some good times in Eurasia, possibly with Germanic tribes. Let's take one tribe and build a friendship based on squirrels! Now, by all means this may not even be close to the truth, however it is undoubtedly POSSIBLE based on FACT. Another route would have been: perhaps a Germanic Warlord passing through Alexandria gave him the squirrel as a gift? 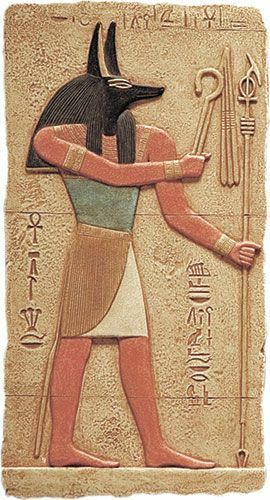 This creates a memorable Pharaoh, who keeps his squirrel on a leash in the desert and feeds it and treats it like a lion. 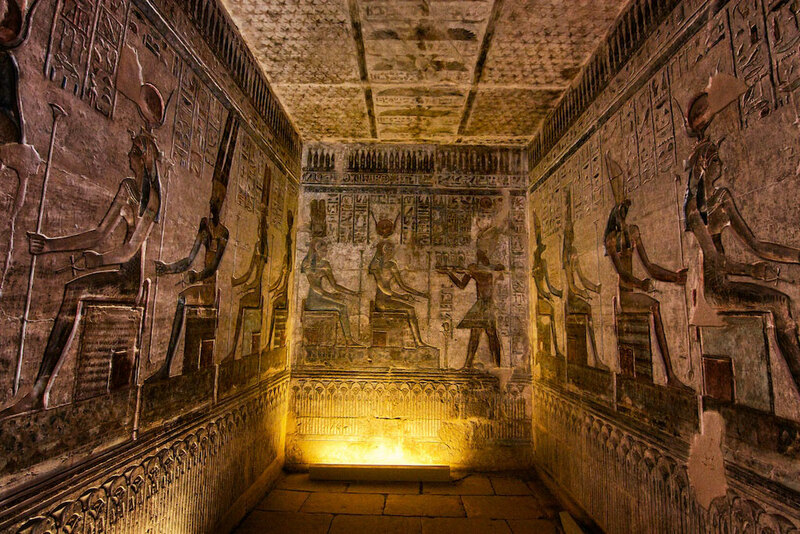 Another route is that the squirrels DID exist in Egypt. 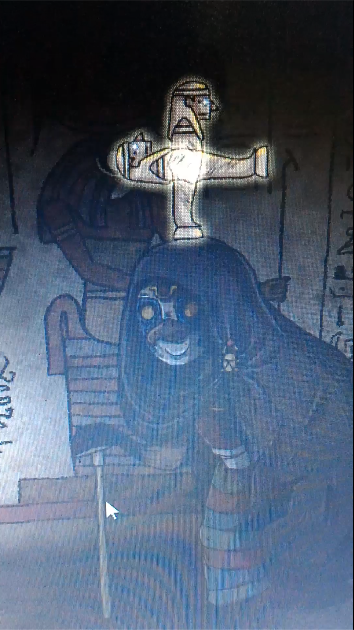 They even had a God associated to them that we NEVER KNEW. We could imagine a name, a set of lore associated to this squirrel. 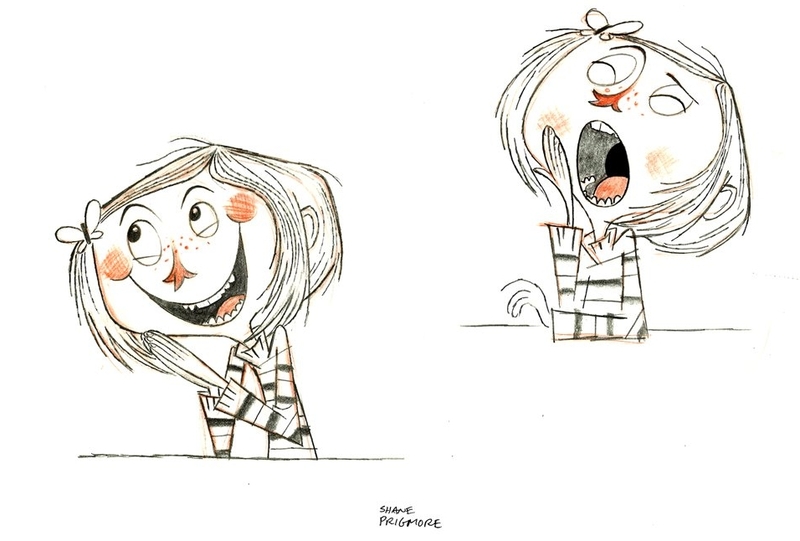 Now, which one of these creative interpretations goes too far? Which one honors history? 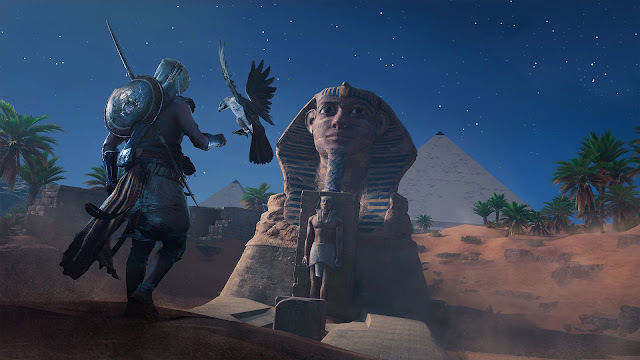 Another difficult aspect of writing historical games is that yes, I have read many books and I understand niche elements of archeological elements, but without putting a footnote in the game or having clunky exposition, how do I make the gamer know "yes this is true, but they have used it as a springboard for other creative and inspiring historical hypotheses!"? 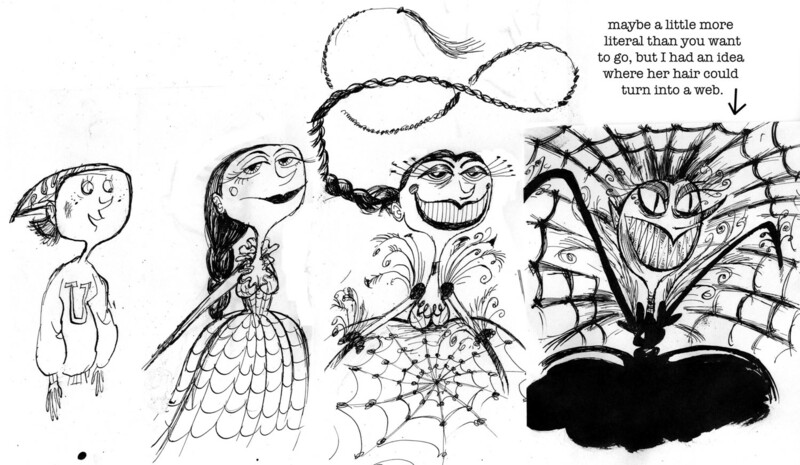 2) In your opinion, what component is indispensable for a good story? Conflict? Antagonism? Hard choices? When we are talking about a historical game, how much can we shape the "reality" for narrative purposes? Despite having a more linear background in storytelling, I do agree that video game storytelling is not simply movies pausing so we can play. The structure is different, the game is different, the art is different. When talking about a historical game, we can shape it in any which way we want as long as we do not betray history. This notion of betrayal is very touchy, and subjective to the many varying opinions of gamers and devs. I spoke quite extensively of this in this article in Greg Buchanan's blog. Mythology is a great example here. Mythology does speak of a culture's deep-seeded beliefs, yet it is also extremely fictional and creative. These are the invented stories of a people that explain the unexplained. We are trying to do literally the same thing. So video games are a new mythology based on as much fact as possible. 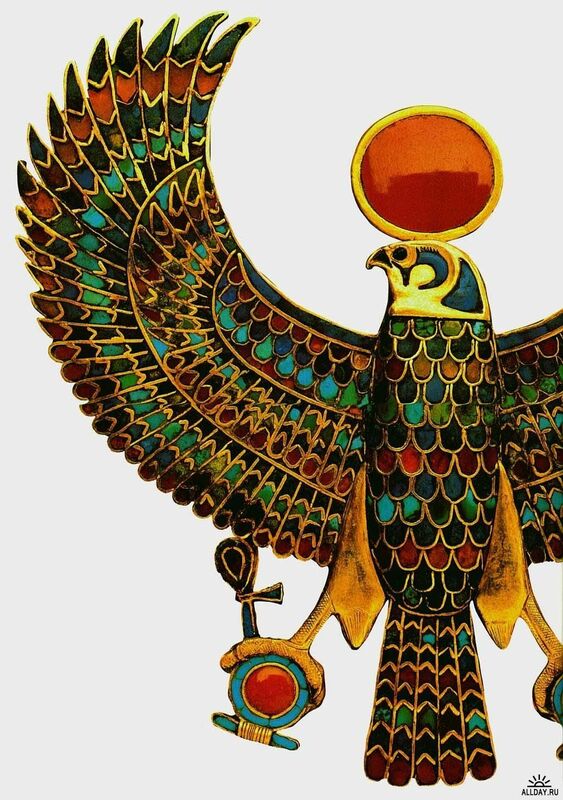 Mythology is based on translations of interpretations of a diverse culture, so if we shape a reality based on mythology are we embracing history? If you shape a mythology to serve your narrative are you breaking immersion for the sake of creating something mind-blowing or awe-inspiring? There are no rules, as long as it's good. Recently a writer I was reading was talking about what makes a good story, and he simply said "Stakes don't matter when I think about it...I just want to read about some great stuff. Fill your work with great stuff. Talk about a sofa for a few minutes, the history of it, why it means something to our protagonist, as long as its great, I don't need stakes". I'm paraphrasing but you get the point. There is no "you need conflict, 5 acts, turning point, etc..." These are part of a grammar that is ever-evolving. Think of elegant simplistic plots such as Inside. You don't always need a lot of plot, but sometimes immense plots are engaging. If you told me "In this game about ancient Egypt you will play the sport that Egyptians played called "crocodile wrestling" for the FIRST TIME EVER." I'd probably be interested in a story of a crocodile wrestler. The narrative is thin yet fun. Narratives that are heavy and tragic are also fun. You could write new graphs describing game arches and character stories for every year that video games innovate. Don't rule out new or old formats I say, and hope that you can birth something fresh and original or comfortable and elegant based on proven formulas. 3) There is not a clear path to become a writer in a great studio. How did this work for you? How can we pursue it? What should we know? Write, read, write, read and write some more. Also: put your writing out into the world. Get panned, get feedback, positive and negative. When I was just starting out as a writer I was also an avid gamer, and I wrote an entire video game that I still, to this day, would like to produce. Then I plunged into travel, writing, fatherhood and running a theatre. I wrote many plays, literature and worked in various mediums until finally my video game dreams resurfaced. I met some great artists within the gaming community and began to merge the two worlds. I started working on video games with the same passion I approached all art and when a director who had seen my plays saw that I was making video games, he pulled me under his wing. I guess what I'm saying is always write, and always keep your dreams. You never know which one will stick. I have yet to realize my dream, but it led to realizing another dream: working on Assassin's Creed, which is one I hope to never wake up from. Such is life. 4) Tell us your favorite game in terms of narrative and why you like it. Very tough question, without sounding too biased Black Flag was one of my favourite games in terms of narrative, gameplay and overall experience. Raw, visceral narrative definitely goes to The Last of Us, which I believe polishes the notion of emotion and tone inside a story. When I first played it I was blown away especially because Heavy Rain for me, was a bit too bogged down by narrative minutia. Every narrative is different, the fun and simplicity of Uncharted made me realize just how far a narrative genre can seep into every aspect of a game, similar to Resident Evil for the horror genre. The anti-narrative of Stanley's Parable (which for me, I jokingly refer to as the Waiting for Godot of video games) is one of several games that elevated video games further into its own art form and showed the immense possibilities of the medium though I didn't love the experience, I loved the innovation and playfulness of it. Impossible to say really, whenever I am pushed to answer this question I cannot give one! Similar to cinema and many other art forms, it is the entire scope of the art form that blows me away and not one specific game. Quando alguém decide contar (ou recontar) uma história que aconteceu no passado, quais os limites entre a liberdade criativa e a fidelidade histórica? 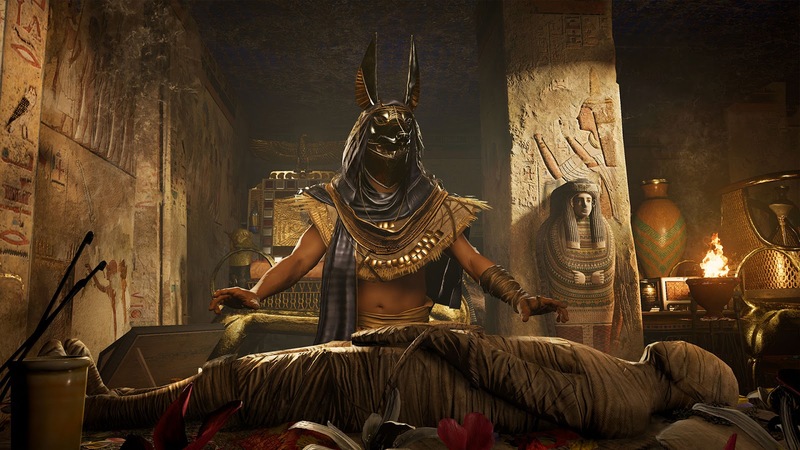 Foi pensando nisso que fui atrás de Alain Mercieca, lead writer do mundialmente aclamado Assassin’s Creed Origins (Ubisoft, 2017). 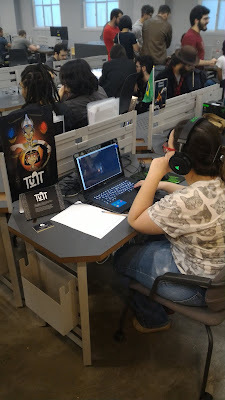 Esta inquietação nasceu a partir da minha experiência escrevendo TUAT, um jogo “histórico” que acontece na XVIII dinastia do Antigo Egito. Perguntei ao Alain duas questões sobre narrativa, uma sobre a sua trajetória e outra sobre os seus jogos favoritos. Nota de tradução: quando alguma palavra for sucedida por asteriscos (*) é porque, no final do texto, há uma nota explicativa. 1) Eu acho que um dos maiores desafios em escrever um jogo histórico é adaptar a maneira de pensar (ou seja, a mentalidade, conforme definida por March Bloch e Lucien Febvre) de uma certa época para audiências modernas. Os egípcios, por exemplo, tinham uma série de crenças que poderiam soar estranhas para nós. Como isto pode ser feito sem um grande anacronismo? Toda história que contamos deve ser contada por meio da Poética de Aristóteles ou do monomito de Campbell? Ou temos que encontrar algo novo de acordo com a época e o lugar sobre os quais nós queremos falar? Eu acredito fortemente que, para evitar anacronismos pesados, alguém deve interpretar a história de modo criativo e, se essa interpretação criativa deriva de um conhecimento genuíno e de um amor pelo período histórico, quaisquer liberdades tomadas não depreciam a experiência do game, ou mesmo a experiência artística da narrativa — essas liberdades na verdade acrescentam à experiência geral do jogo. Informação (como artefatos, histórias, História, mitos e mesmo clichês e estereótipos — sim, eu acredito que eles precisam ser abordados, muitos são baseados em fatos) é apenas uma maneira de criar uma imagem da história. Não permitir que essas coisas ultrapassem a sua interpretação da história é o que nos faz ir ALÉM delas, criando experiências imersivas e únicas que seguem um caminho diferente daquele que leva ao detrimento de pessoas, culturas e religiões. 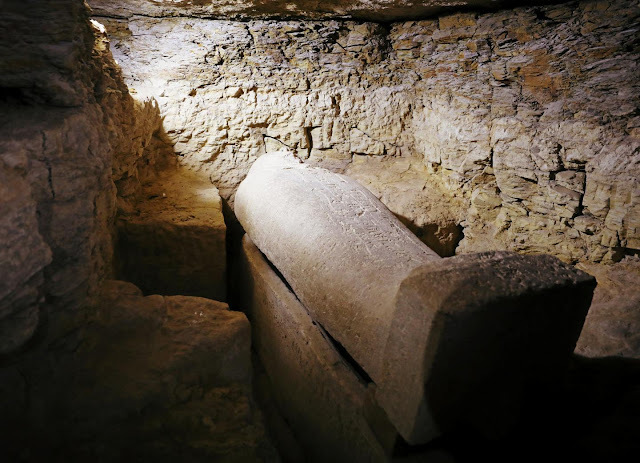 A stone sarcophagi, inside the recently discovered ancient burial site in Minya, Egypt. A imaginação é na verdade o seu melhor amigo. Curiosamente, eu acredito que fatos objetivos são simplesmente um ponto de partida para uma interpretação criativa que não fica refém da checagem de fatos. Em outras palavras, é como andar na ponta dos pés através da história estando preso a estatísticas ou evidências arqueológicas, como se elas fossem feitas para demonstrar erudição e, literalmente, enaltecer a pesquisa histórica ao invés de aplicá-las em uma história, em mundo; tão bem aplicadas que elas dão vida a novos fatos, novas ideias, novas histórias que estavam encobertos por esses vestígios, e eles, é claro, podem estar equivocados no sentido de que PODEM não ser verdadeiros. A vida secreta e desconhecida de figuras históricas e pessoas de épocas diferentes é ainda o que desperta interesse mais do que os fatos conhecidos. Os fatos históricos, muitas vezes, parecem que são imaginados — tome como exemplo o episódio de Cleópatra e o tapete*: se esse episódio foi um tanto documentado, imagine então o que não foi. Eles são infinitos. Um exercício interessante em relação a este ponto: imagine que encontraram uma nova tumba; vamos chamá-la de TUMBA DE FELIPE, descoberta no Egito recentemente em uma área remota no deserto. Na tumba de Felipe há um osso de esquilo. Ninguém consegue explicar o porquê. Esquilos vermelhos não eram nativos do Egito, de modo algum. Então o osso deve ter pertencido a um esquilo de estimação que o faraó Felipe encontrou em suas viagens para a Europa? Nós podemos inferir que Felipe passou uns bons momentos na Eurásia, possivelmente com tribos germânicas. Vamos pegar uma tribo e construir uma amizade baseada em esquilos! Agora, de todo modo isto pode não estar nem próximo à verdade, entretanto é sem dúvida alguma POSSÍVEL baseado em um FATO. Poderia ter sido de outra maneira: talvez um chefe militar germânico passando por Alexandria deu a Felipe um esquilo como presente? Isto cria um faraó memorável, que mantém seu esquilo em uma coleira no deserto e o alimenta e cuida dele como se fosse um leão. Outra rota possível é que os esquilos DE FATO existiram no Egito. Eles até tinham um deus associado a eles que nós NUNCA CONHECEMOS. Nós até poderíamos imaginar um nome, um conjunto de mitos associados a este esquilo. Agora, qual dessas interpretações criativas vai longe demais? Qual delas faz jus à história? Outro aspecto difícil de escrever jogos históricos é que: sim, eu li muitos livros e entendo elementos particulares de objetos arqueológicos, mas, sem colocar uma nota de rodapé no jogo ou ter uma explicação tosca, como eu faço o jogador saber “sim, isto é verídico, mas eles usaram como um ponto de partida para outra hipótese criativa de inspiração histórica!”? 2) Em sua opinião, qual componente é indispensável para uma boa história? Conflito? Antagonismo? Escolhas difíceis? Quando estamos falando de jogos históricos, o quanto nós podemos moldar a realidade para propósitos narrativos? Apesar de ter uma narrativa mais linear, eu realmente concordo que a narrativa dos jogos eletrônicos não é simplesmente aquela em que filmes são pausados para podemos jogar. A estrutura é diferente, o jogo é diferente, a arte é diferente. Quando o assunto é um jogo histórico, nós podemos moldá-lo da maneira que quisermos desde que a gente não traia a história. Esta noção de traição é delicada, e subjetiva às muitas e variantes opiniões de gamers e desenvolvedores. Falei extensivamente sobre isso neste artigo no blog de Greg Buchanan. Mitologia é um ótimo exemplo. 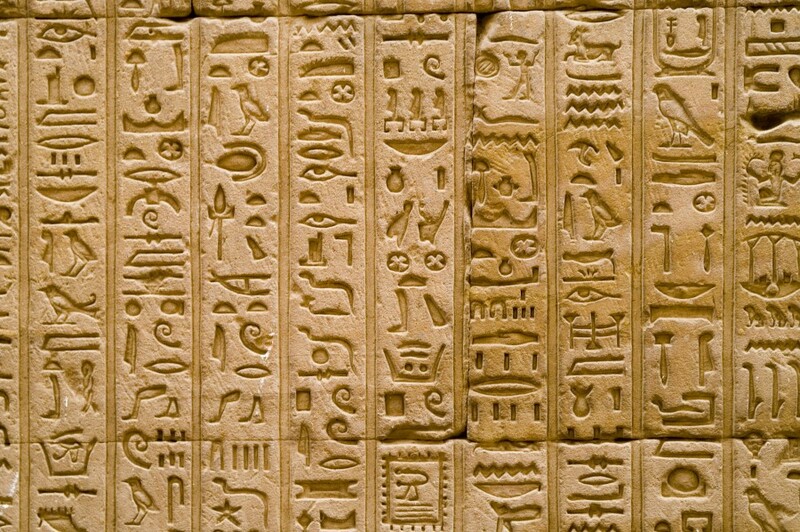 Mitologia fala de crenças profundamente arraigadas em uma cultura, e ainda é algo extremamente ficcional e criativo; são as histórias inventadas de um povo que explicam o inexplicável. Nós estamos tentamos fazer literalmente a mesma coisa: os jogos eletrônicos são uma nova mitologia baseada no que é mais factível possível. Toda mitologia é baseada em traduções de interpretações de uma cultura diversa, então se nós moldamos a realidade baseada na mitologia, estamos levando a história em consideração? Se você molda a mitologia para servir à sua narrativa, você está quebrando a imersão a fim de criar algo alucinante ou inspirador? Não existem regras, desde que fique bom. Recentemente um escritor que eu estava lendo falava sobre o que torna uma história boa, e ele simplesmente disse: “Stakes** não importam quando eu penso sobre narrativa… Apenas quero ler coisas boas. Preencha seu trabalho com coisas boas. Fale sobre um sofá por alguns minutos, a história dele, por que ele significa algo para o protagonista, desde que seja bom eu não preciso de stakes”. Estou parafraseando, mas você entendeu. Não existem coisas como “você precisa de conflito, de cinco atos, de plot twist etc….” Tudo isso é parte de uma gramática que está em constante evolução. Pense sobre plots elegantes e simples tais como o de Inside. Nem sempre você precisa de um plot complexo, mas algumas vezes plots enormes são envolventes. Se você me dissesse: “Neste game sobre o Antigo Egito você vai jogar o jogo que os egípcios chamavam de ‘luta crocodílica’ pela PRIMEIRA VEZ NA HISTÓRIA. Eu provavelmente estaria interessado na história de um crocodilo lutador. A narrativa é leve mas divertida. Narrativas que são pesadas e trágicas também são divertidas. Você poderia escrever novos gráficos descrevendo arcos narrativos e histórias de personagens a cada ano que os jogos eletrônicos inovam. Não elimine novos ou velhos formatos, eu diria; espero que você possa gerar algo novo e original, ou confortável e elegante, a partir de fórmulas comprovadas. 3) Não há um caminho claro que nos leve à posição de roteirista em um grande estúdio. Como você chegou lá? Como nós podemos chegar lá? O que devemos saber? Escreva, leia, escreva, leia e escreva um pouco mais. E também: coloque sua escrita no mundo. Seja criticado, receba feedback, positivo ou negativo. Quando eu estava começando como um escritor, eu era um gamer ávido, e eu escrevi um jogo inteiro — que eu, ainda, até hoje, gostaria de produzir. Então eu mergulhei em viagens, na escrita, na paternidade e na administração de um teatro. Escrevi muitas peças, escrevi literatura e trabalhei em várias mídias até que, finalmente, meus sonhos de video game vieram novamente à tona. Conheci alguns grandes artistas dentro da comunidade gamer e comecei a unir os dois mundos. 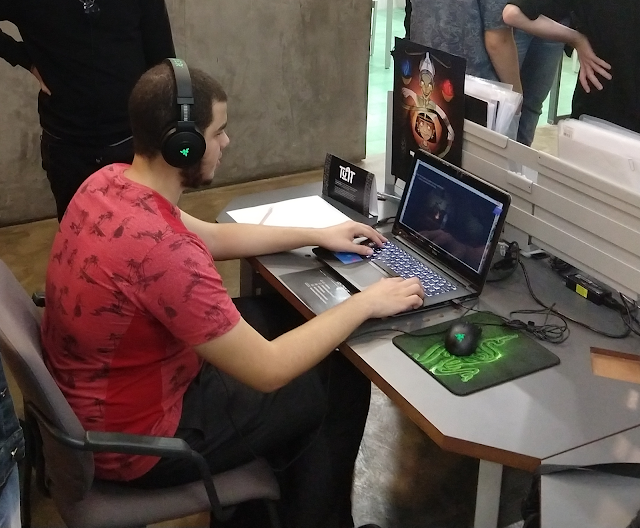 Comecei a trabalhar com games com a mesma paixão que eu empreguei a todas as outras artes e, quando um diretor (que tinha visto minhas peças) viu que eu estava fazendo jogos, ele me puxou para debaixo da sua asa. Acho que estou querendo dizer o seguinte: sempre escreva e sempre sonhe. A gente nunca sabe qual deles vai permanecer. Eu ainda tenho que realizar meu sonho, mas ele me levou a realizar um outro: trabalhar em Assassin’s Creed, do qual eu espero nunca acordar. A vida é assim. 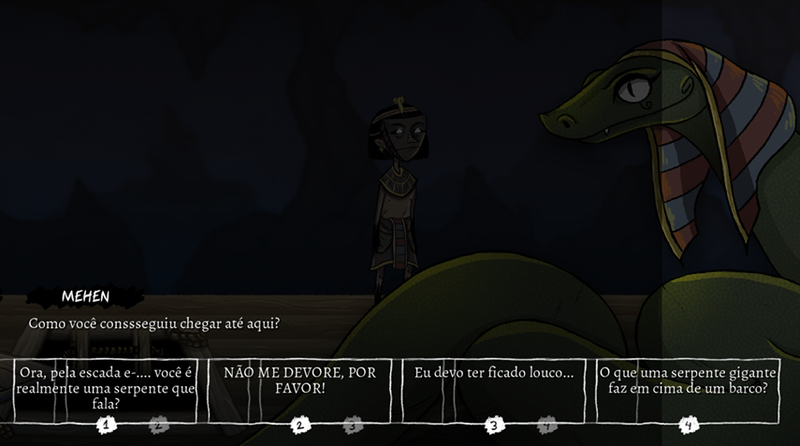 4) Diz pra gente o seu jogo favorito em termos de narrativa e por que você gosta dele. Pergunta muito difícil. Sem querer soar muito tendencioso, Black Flag foi um dos meus games favoritos em termos de narrativa, gameplay e experiência geral. 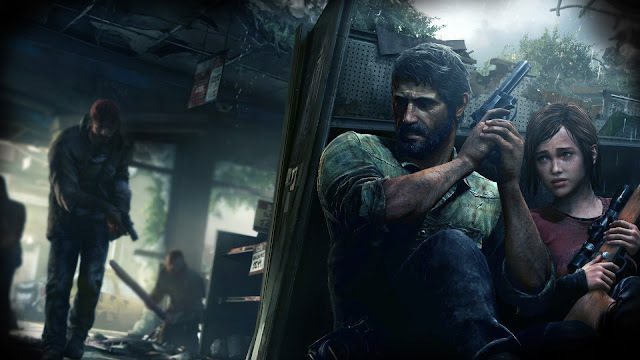 Em relação à narrativa bruta, visceral, definitivamente é The Last of Us, o qual eu acredito que ilustra a noção de emoção e tom dentro de uma história. Quando eu o joguei pela primeira vez fiquei impressionado, especialmente porque Heavy Rain havia me deixado um pouco encalhado nas minúcias da história. Toda narrativa é diferente, a diversão e simplicidade de Uncharted me fez perceber até que ponto um gênero narrativo pode influenciar cada aspecto de um jogo, igual Resident Evil fez com o gênero do horror. A anti-narrativa de Stanley’s Parable (que eu chamo, de brincadeira, de Esperando Godot*** dos video games), um dos vários jogos que elevam os games à sua forma de arte própria, mostrando as imensas possibilidades deste meio — embora não tenha amado a experiência, eu amei a inovação e a ludicidade dele. Impossível dizer todos, sempre que sou obrigado a responder esta questão eu não consigo citar apenas um! Coisa parecida acontece com o cinema e muitas outras formas de arte: é o escopo inteiro que me impressiona, e não um título específico. * Famoso episódio em que Cleópatra se esconde em um tapete para encontrar Júlio César; é relatado por Plutarco na Vida de César, 49.1-2. 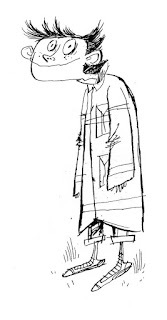 Na realidade, segundo o texto grego, não se trata de um tapete, mas de um saco de couro ou de linho no qual as escravas guardavam as roupas de cama (στρωματόδεσμον). ** No vocabulário narrativo, stake é um termo difícil de ser traduzido para a nossa língua. Pode ser entendido como o risco que o personagem corre durante a história, mas também por “motivação” (aquilo que impele o personagem à ação ou, em outras palavras, o que ele pode perder ao longo da narrativa) e por “trama” ou “fórmula narrativa”. Para se ter uma ideia mais precisa do termo, ver https://bit.ly/2LqsQJA. *** Peça de Samuel Beckett. En attendant Godot, no original francês, ou Waiting for Godot, em inglês. This post is the first of a series in which we are going to talk about the creative process behind the art of TUAT. 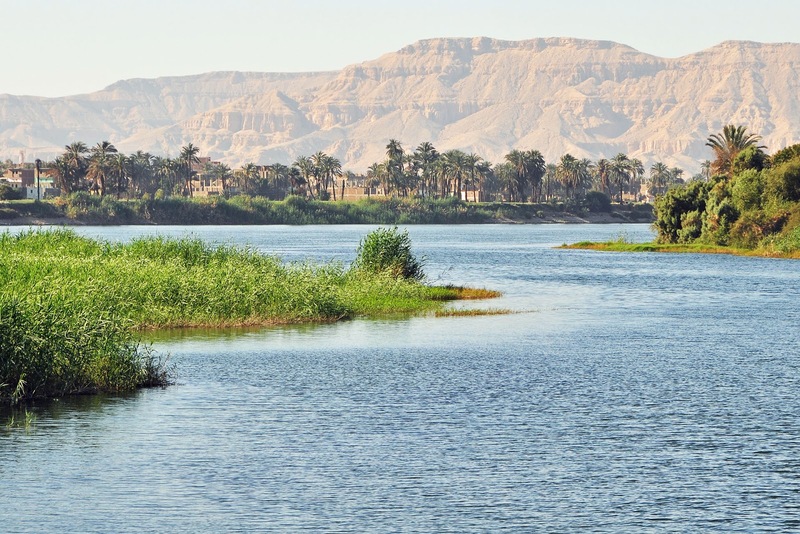 When we are talking about the Ancient Egypt the images that usually comes up in our mind are something like these: the pyramids, the texture of the desert, earthy colors, the waters of the Nile, the paintings in the tombs. 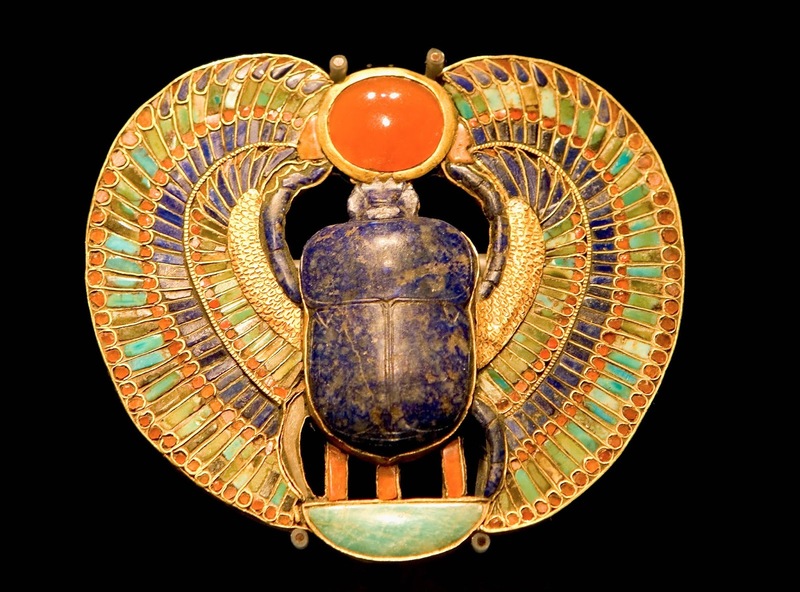 These are, of course, the basic elements that composed our first research about Ancient Egypt art and identity. 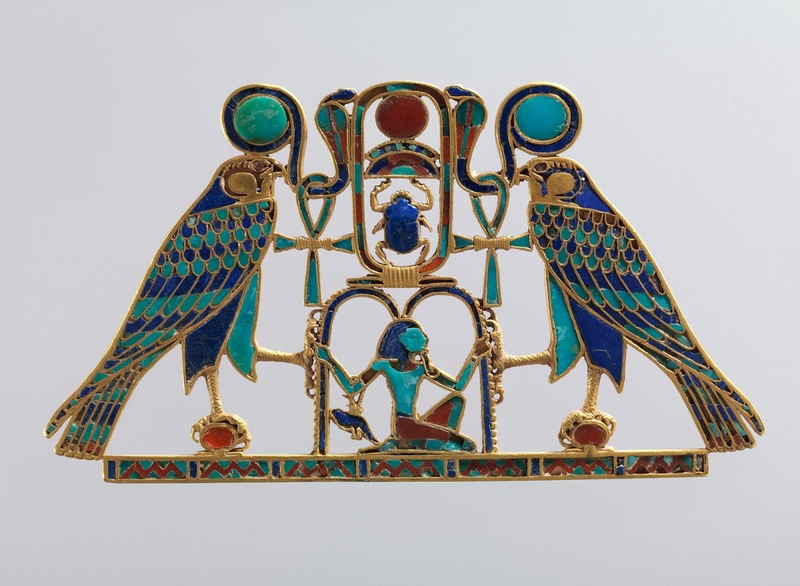 Our initial concern was to understand which shapes, traces, colors, compositions and elements characterized the egyptian aesthetics. 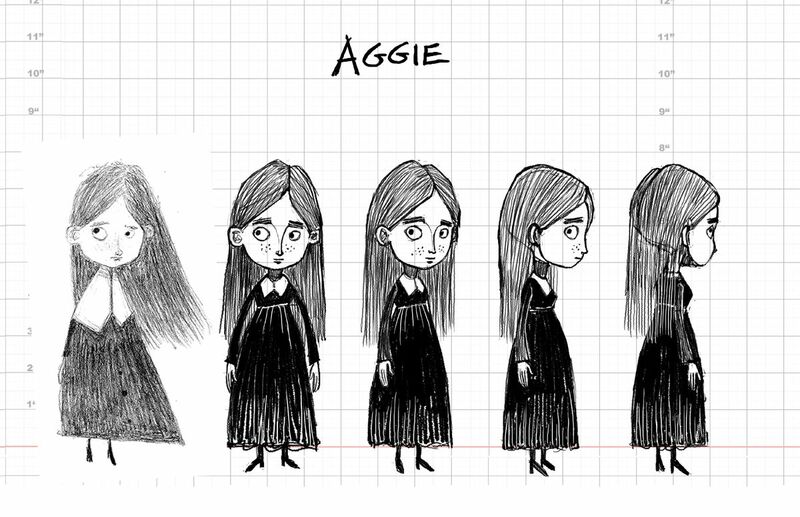 We had to make a deep analysis of images in order to create something that was plausible and could transport the player to that context. 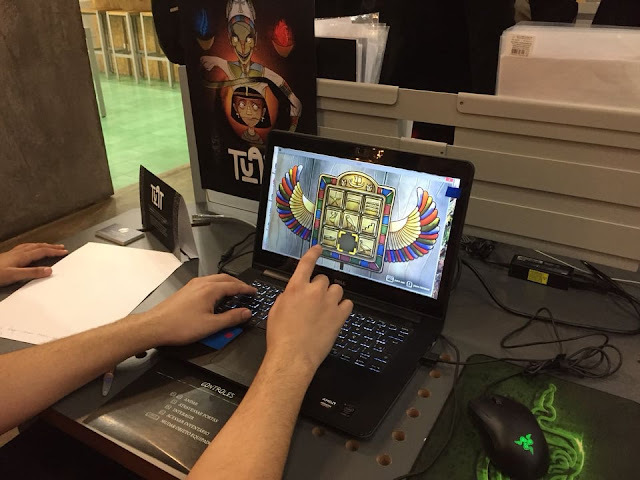 We wanted the player to feel that characters and the environments seems to belong to what we consider “egyptian” — but in a different style. 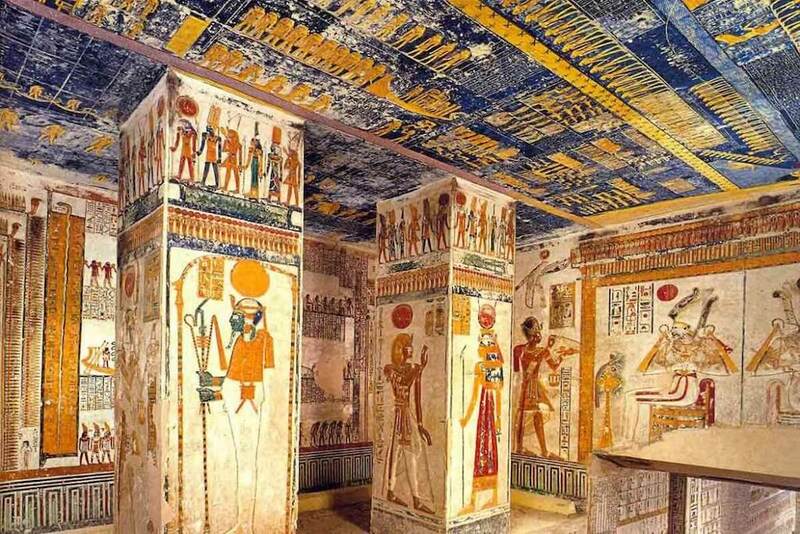 But how to show Ancient Egypt with a different look, without repeat the patterns, stereotypes and clichés? So we decided to explore the death. The dark atmosphere that we attribute to death today is the second identity element that defines TUAT’s art. For this we research and appoint other artistic products that have the same characteristics. These were: the art of Coraline (LAIKA, 2009), Paranorman (LAIKA, 2012), the child book Babadook — the same from the movie — (Causeway films, 2014) and John Kenn Mortensen illustrations (write and direct television shows for kids). Something in common in these exemple are the mix of elements of terror with a “childish” style. 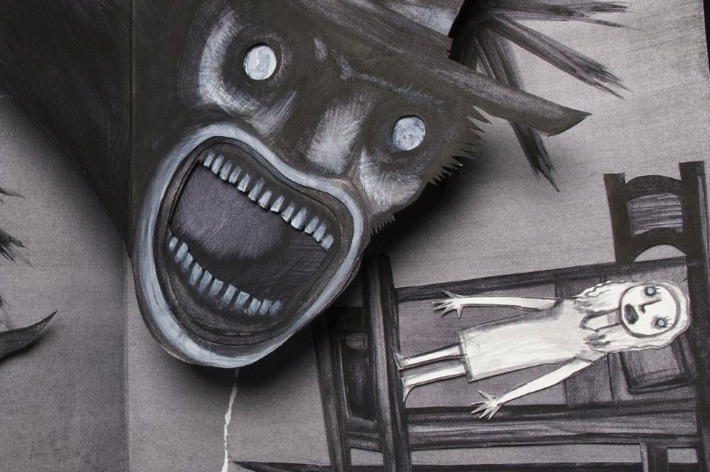 The illustrations of Babadook, for exemple, have irregular lines, ink marks on black fills, and an aesthetic like it was a drawing made by a child. Despite the terror tone, it’s still a children's book. 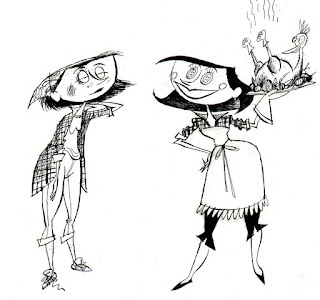 Coraline and Paranorman have the same irregular linearts and brush strokes on blank fills. 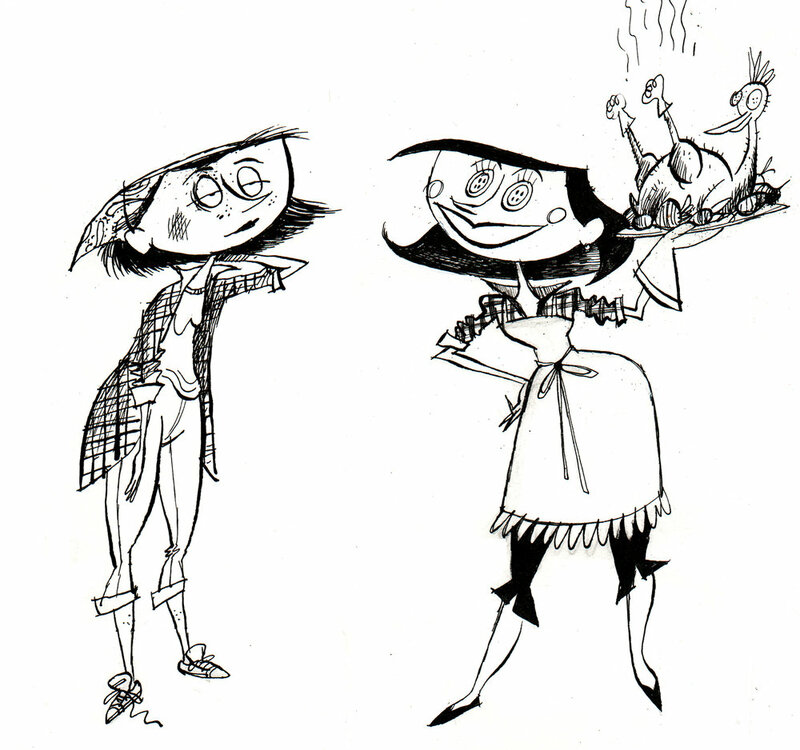 The deliberate choice of this type of finishing adds the "eccentric" tone of the narratives proposed by the two films. 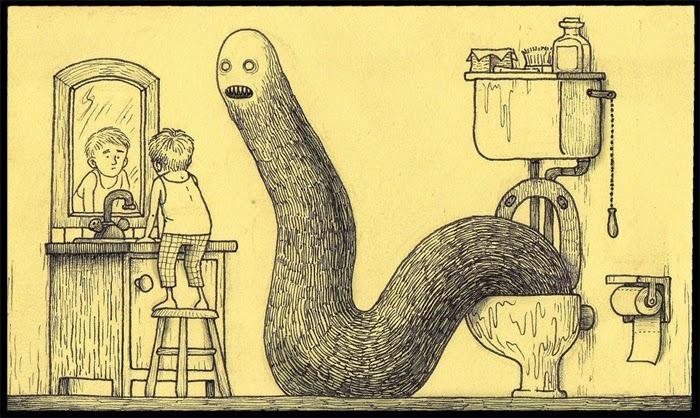 John Kenn’s works show the daily life of children and adults, and this ordinary world is inhabited by strange creatures. They break up all the normality of the scenes, and that monsters gain space and cause a lot of disturbance being shown that way. This is an interesting contrast that we wanted to put in the TUAT, this feeling of strangeness and annoyance caused by the combination of the childish style and the horror. In this first moment we wanted to bring to you the artistic references that in some way guide and impact the art of TUAT. Soon we will talk about how we technically adapted these inspirations to the style of the game. See you there! A postagem de hoje é a primeira parte de uma série que vai falar um pouco sobre o processo criativo por trás da arte do TUAT. 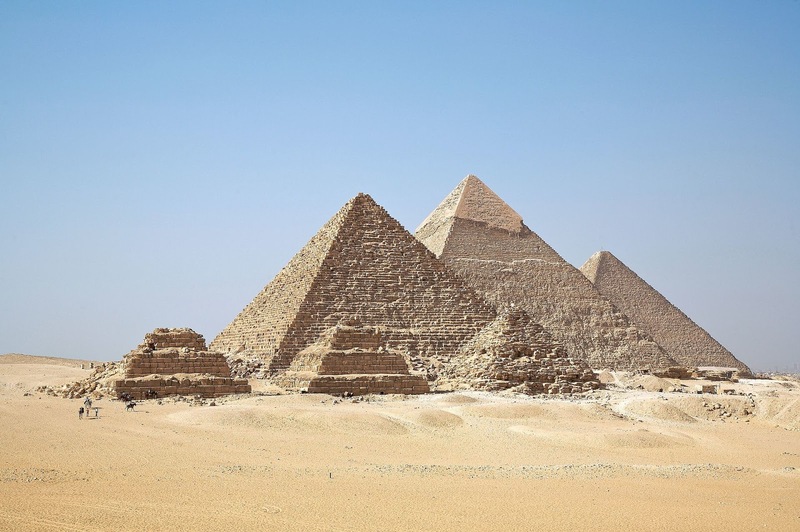 A imagem mental que o Antigo Egito nos evoca é muito característica: as pirâmides, a textura do deserto, as cores terrosas, os templos e arquiteturas grandiosos, as águas do rio Nilo, as pinturas nas tumbas. Esses são os elementos básicos que compuseram nossa primeira pesquisa sobre arte e identidade egípcia antiga. O mais importante nesse primeiro momento foi entender quais eram as formas, traços, cores, composições e os elementos que caracterizavam a estética egípcia. Só assim, através de uma análise imagética, seria possível criar algo que fosse verossímil e que pudesse transportar o jogador para aquele contexto, de modo que tanto os personagens como os ambientes parecessem pertencer de fato ao que nós normalmente consideramos “egípcio”. Mas como mostrar o Antigo Egito de uma maneira diferente, sem repetir os padrões e estereótipos que já viraram clichê dentro desse tema? É aí que outro elemento importantíssimo entra em jogo: a morte. A atmosfera sombria que atribuímos à morte hoje é o segundo elemento identitário que define a arte do TUAT. Para isso, pesquisamos e elegemos outros produtos artísticos que possuem essa característica, sendo os principais deles: a arte de Coraline (LAIKA, 2009), Paranorman (LAIKA, 2012), o livro infantil Babadook, cujo o nome é o mesmo dado ao filme (Causeway Films, 2014), e as ilustrações de John Kenn Mortensen (roterista e diretor de programas de TV infantis). 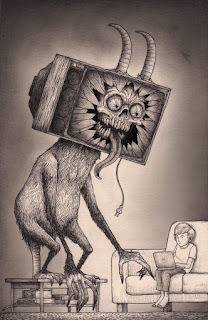 Uma coisa em comum em todos esses exemplos citados é que eles misturam, de maneira primorosa, elementos de terror com um estilo “infantil”. 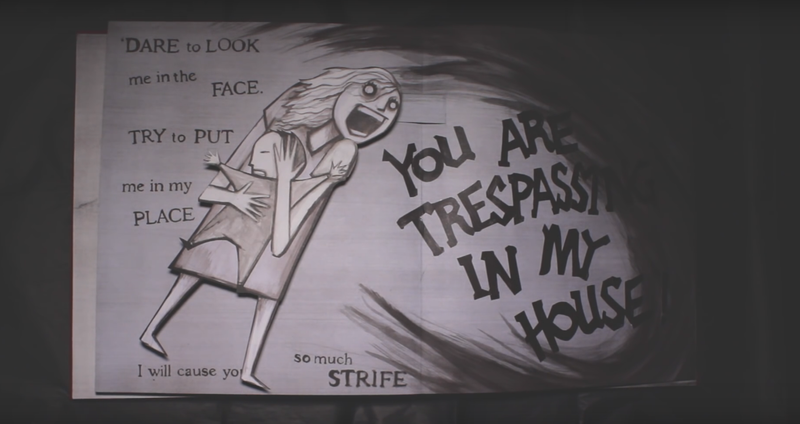 As ilustrações de Babadook, por exemplo, têm traçados irregulares, marcas de tinta nos preenchimentos de preto e uma estética quase como se fosse um desenho feito por uma criança. 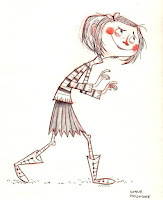 Apesar de um tom de terror, continua sendo um livro infantil. 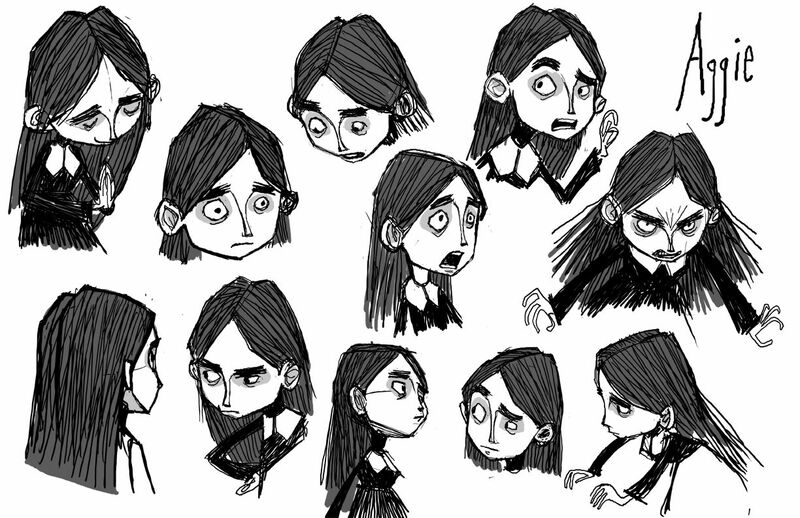 Já Coraline e Paranoman têm em comum um mesmo tipo de traçado irregular e preenchimentos rabiscados e imprecisos. A escolha deliberada desse tipo de acabamento agrega ao tom “excêntrico” das narrativas propostas pelos dois filmes. 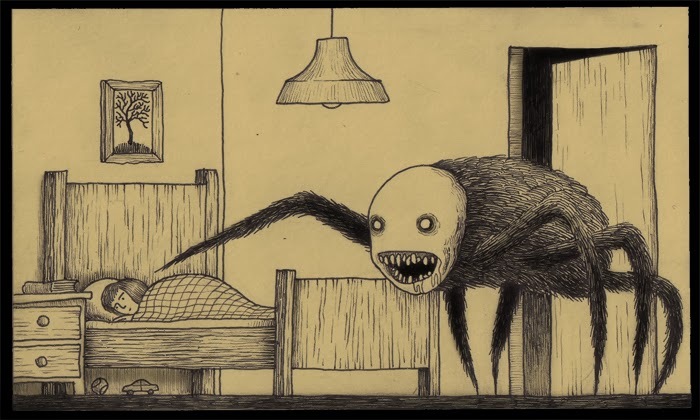 As ilustrações de John Kenn apresentam cotidianos de crianças de adultos com a presença de criaturas estranhas que quebram totalmente com a normalidade daquelas cenas. Aqueles monstros ganham ainda mais destaque e causam ainda mais incômodo estando apresentados dessa maneira. Esse é um contraste interessante que queríamos colocar no TUAT, essa sensação de estranhamento e incômodo causados pela combinação do traço infantil e do horror. Neste primeiro momento quisemos trazer a vocês as referências artísticas que de alguma maneira norteiam e impactam a arte do TUAT. Em breve falaremos sobre como nós adaptamos tecnicamente essas inspirações para o estilo do jogo. Até lá! Soon we will bring more unique content about our creating process. Stay tuned and see you guys next time!